A reader sent me a super nice email the other day. I love when that happens. Anyway, she mentioned a toy I completely forgot about. 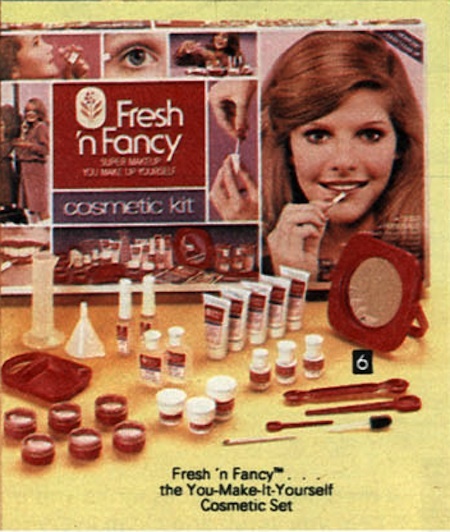 It was from Hasbro and called FRESH 'N FANCY (Fresh and Fancy). Fresh 'N Fancy let girls create their own perfume fragrance and cosmetics. 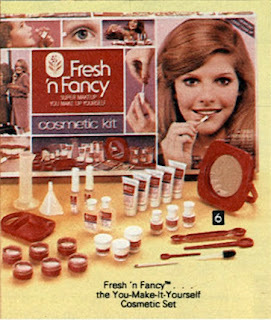 Can you imagine, a "create your own perfume and makeup set" as a little girl? I think I received this as a Christmas gift way back in the days. Based on the trademark info I found online, the toy came out around 1981 and was gone by 1988. Does anyone remember this make your own perfume toy from the '80s? I think I had this or something similar. I definitely remember wanting it! I totally forgot about this toy! I was old by the '80s. I don't remember that toy, but it sure looks like fun. I'd like to have it now. For some reason I never had that one.. I had that! Wow brings back memories!! !